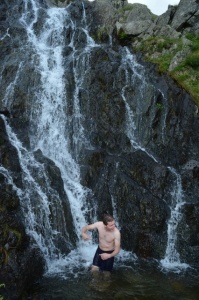 It may be the lure of a freshly running stream or deep cool pool that draws you to wild swimming. Or maybe the idea of being able to swim whenever or wherever you please. Whatever the case, there are some beautiful hot-spots and secret and secluded sites for you to jump into across West Wales. This is the Year of Adventure so now is a great time to try it! 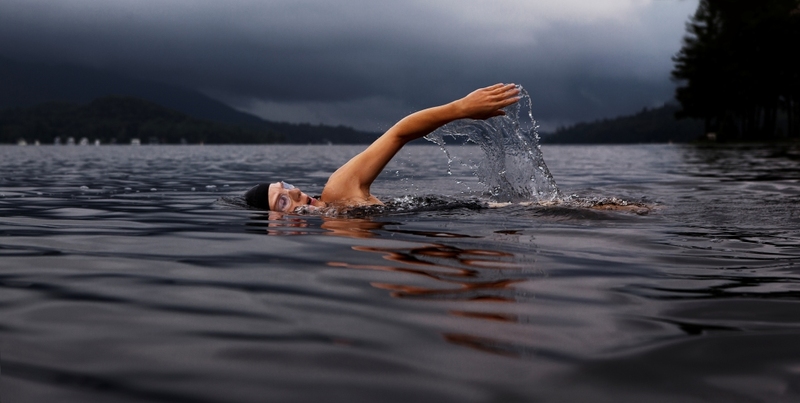 Wild swimming is swimming for pleasure in natural waters, whether they be wild rivers, secret beaches, deep lakes or waterfall pools. Late summer is the best time of year to get into this pastime, particularly if you are a novice and need the warmer weather and waters! There are no rules, it’s wild swimming whether you just fancy a dip in the river in summer to cool down, or an endurance swim along the coast in autumn. This activity has been classified as a moderate risk – so long as you assess your abilities and the location, take account of the cold and don’t expect too much of yourself. Top tips include taking someone with you for company and safety, keep warm afterwards and always pack extra clothing, and using equipment such as neoprene gloves, hat and socks to make it easier. Start in spring, keep going and as your body gets used to it, the cold becomes less of a shock to the system year round! For further information on safety, see the Wild Swimming website. One of the best times to take the plunge is after a long hot walk when your feet need a cool down. Here are some prime spots in West Wales for cooling off. Barafundle Bay is on the Pembrokeshire Coast Path or a half a mile from the car park, with a wide sandy beach and natural arches in the headland. 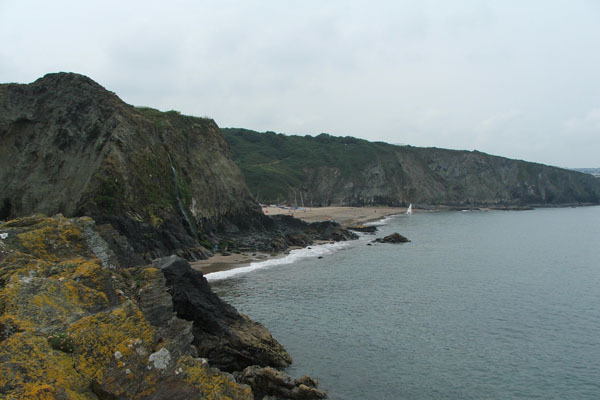 Mwnt Beach involves a short walk down, has sea caves to explore and is good for snorkelling. For a beautiful setting, Furnace Waterfall, on the Aberystwyth to Machynlleth road, flows into a bowl of bedrock, forming a deep tranquil pool surrounded by ferns and the green canopy overhead. 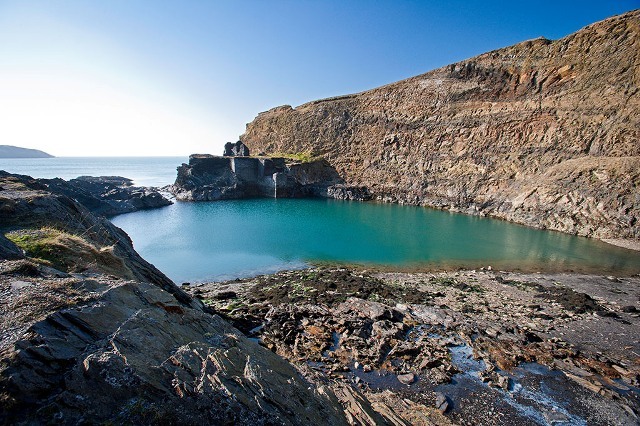 The Blue Lagoon, near Abereiddi, is a picturesque and historic location, within the large bowl of natural rock and former quarry structures, with tempting water below. A more challenging swim is Confucius Hole at Broadhaven. A natural wonder, with a bowl of bluey-green water formed from a collapsed sea cave filling at high tide, it is only reached at low tide and in calm seas – and only for the very experienced swimmer. Alternatively, the swim from Aberporth to Tresaith, or vice versa depending on the tide, is for those with endurance! River and lake swims include the allegedly haunted deep cold lake of Llyn y Fan Fach, the isolated clear water of Llyn Moel y Llyn in the Pumlumon range of mountains, Wash Pool and Wolf’s Leap near Irfon, and Cenarth on the River Teifi, where the river runs parallel to the road through the village. For opportunities to visit these sites and your own wild swimming adventure, why not stay in one of our holiday cottages in West Wales, and explore for yourself! This entry was posted in Places to see and things to do and tagged carmarthenshire, ceredigion, outdoor activity, pembrokeshire. Bookmark the permalink.